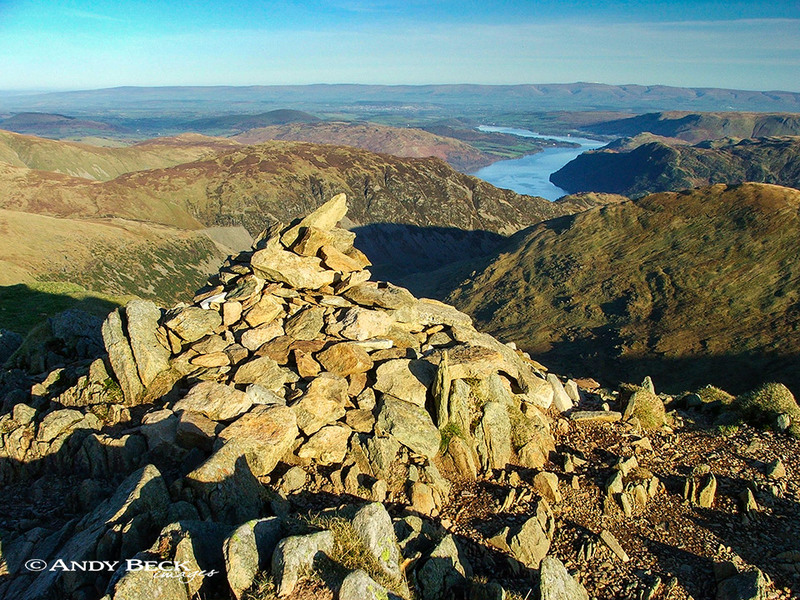 Summary: Catstye Cam is a defined peak on the Helvellyn range. There are various forms of the name, all of the O.S. maps that I can find, either historic or modern use the spelling Catstye Cam (two seperate words), the one inch Bartholomew maps of Wainwright’s day use the Catchedicam spelling but they also use the other spelling in brackets as an alternative. I have yet to find a document that uses Wainwrights spelling Catstycam (one word). 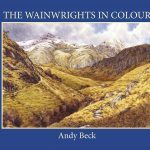 More confusingly in Wainwrights first two listings he uses the two word spelling only bringing in the single word version for the Pictorial Guide. More often than not the fell is ascended as part of the Helvellyn round from Glenridding which takes in both Striding and Swirral Edges. The summit has fine views of the north-east face of Helvellyn and eastwards to the High Street range. Topographical detail: Wainwright gave the height as 2917′ which was taken off the 1 inch O.S. map of the day. It has since been remeasured as 2920′ 890m. Summit at GR: NY34812 15822 marked by a rough stone cairn is the Wainwright summit. Points of Interest: The large concrete dam down near Kepplecove with its gaping hole is worth visiting as are the ruins (old dam) further upstream near Brown Cove tarn. 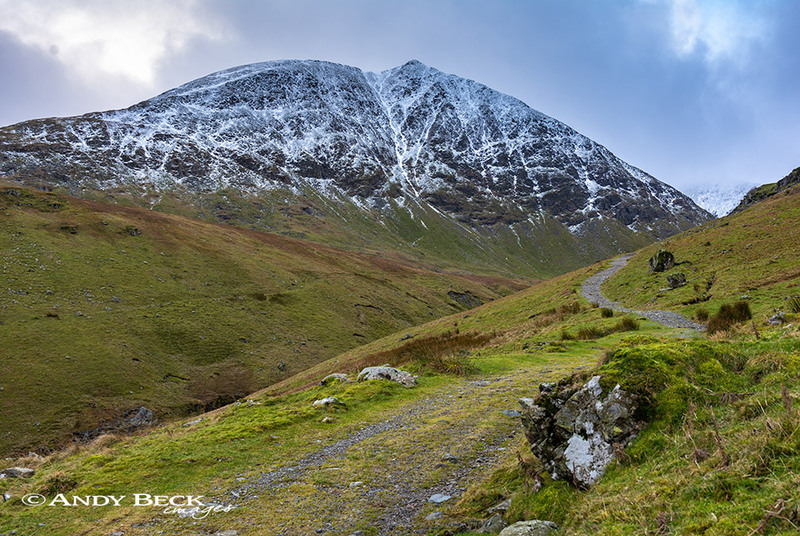 Experienced fit walkers will find the north-west ridge of Catstye Cam a challenge. Adjoining fells: Helvellyn is to the south-west, reached via Swirral Edge. Nearest Facilities: Car Park in Glenridding village there is a pay and display car park but out of season there are spaces for free parking. Shops, cafes, pubs and accomodation all available in Glenridding. 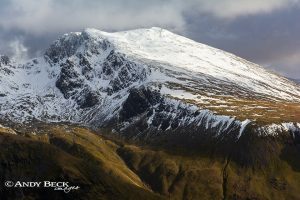 Star rating: (3 / 5) As a fell on its own Catstye Cam has the shape and form of a classic mountain with fine views but these are rather limited in the south-western aspect. There are only three routes of ascent, the most exciting being the north-west ridge.